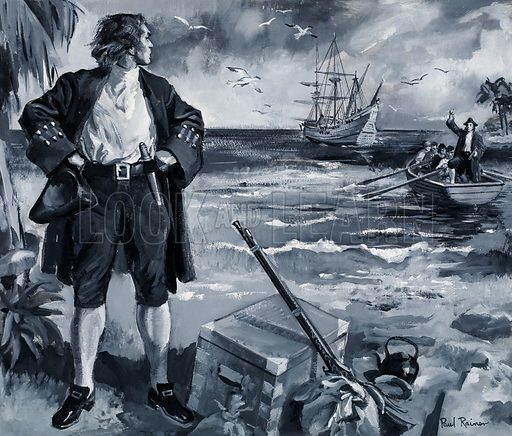 Lieutenant Alexander Selkirk left as a castaway on the tiny Pacific island of Juan Fernandez. Original artwork for the illustration on p10 of L&L no. 330 (11 May 1968).